Sometimes pain in your knees is caused from a problem in another part of your body. A must read for anyone suffering from painful knees. Read more. What you should know about one of the common causes for hip pain. Read more. Are you pregnant and feeling some pain in your back? Read this. When you understand what causes carpel tunnel syndrome you can better deal with the symptoms. Read more. Neck & Back Medical Center has many resources that help us provide you with the best possible care to improve your symptoms. One of our greatest resources is our state of the art technology, like the M6 therapy laser. With years of experience, a comprehensive treatment method, and our advanced technological systems, the team at Neck & Back can find a treatment plan for any individual, no matter your symptoms or ailments. Read below to learn more about how the M6 therapy laser helps our patients on their path to recovery. Neck & Back Medical Center is one of the few clinics in Laguna Hills to use the M6 therapy laser. This laser is a robotized multi-target device, meaning it follows instructions from a computer program. We use this machine to treat a wide variety of ailments. 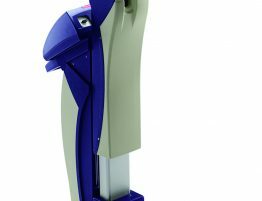 The M6 laser has a number of advantages that make it a better option than traditional laser therapy products. The most distinctive feature of the M6 laser is it’s multi-target functionality. Because of features of the MLS multi-diodic optical group, the M6 laser can treat a wide area instantly, creating rapid results and streamlining the treatment process. To learn more about M6 laser treatment, or to schedule an appointment for a complimentary consultation, contact Neck & Back in Laguna Hills, California, today. We are always available to answer any questions you may have before or between appointments. Reach out online or give our team a call today at (949) 859-6600. 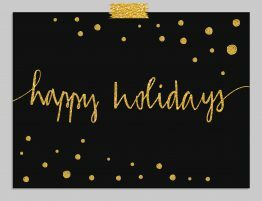 The team at Neck & Back Medical Center wants to wish all of our wonderful patients an enjoyable, relaxing holiday season. As 2016 comes to a close and you prepare for a brand New Year, we send our best wishes for peace, love, health, and happiness. Take some time as the year winds down to remember the best moments from this year — what was your favorite part of 2016? And as you look to the New Year, set new goals and objectives — what do you hope will be your favorite part of 2017? As always, the Neck & Back team wants to help our patients and loved ones achieve the highest quality of life. Let us know how we can be a part of your health and happiness in 2017.